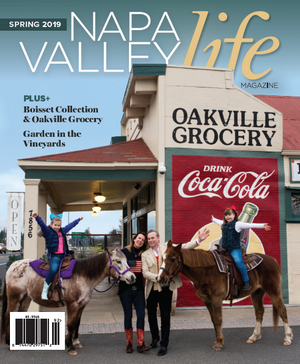 Napa Valley is becoming more and more connected to the Nashville Music scene. 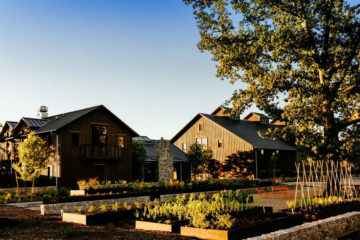 Four Napa Valley wineries and a hotel played host to the Inaugural Songwriters In Paradise (SIP) NAPA. The concept was founded by Tennessee born, South Carolina bred, Nashville based singer, songwriter & artist, Patrick Davis in 2013, when The Firefly Sunset Resort in Hope Town, Abaco, Bahamas asked him to play a solo gig. Davis offered up an alternative idea of bringing some of his fellow songwriters for a performance “in the round” acoustic set. That is where each artist takes turns performing a song on stage in groups of three or four. After two or three songs each, another group takes to the stage. 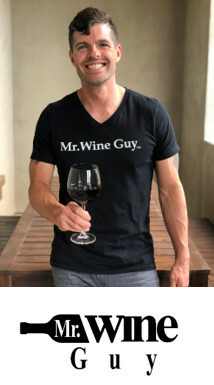 Vintner David Duncan, of Silver Oak and a singer in the Silverado Pickups, met Davis six years ago. Davis credited Duncan on stage for bringing SIP to Napa. Duncan said SIP Napa will definitely be back next year. 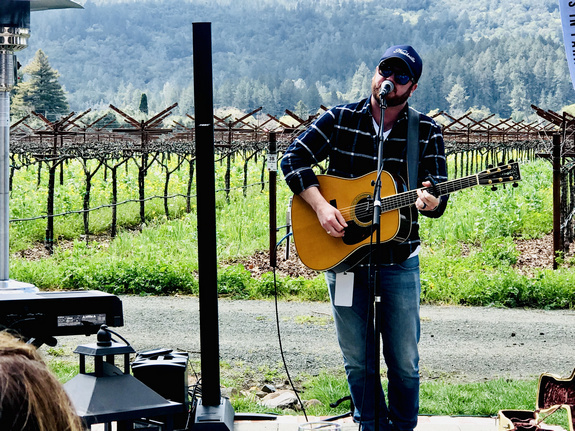 Jeff Gargiuilo of Gargiuilo Vineyards and guitarist in the Silverado Pickups hosted the first late afternoon musical round under sunny skies. 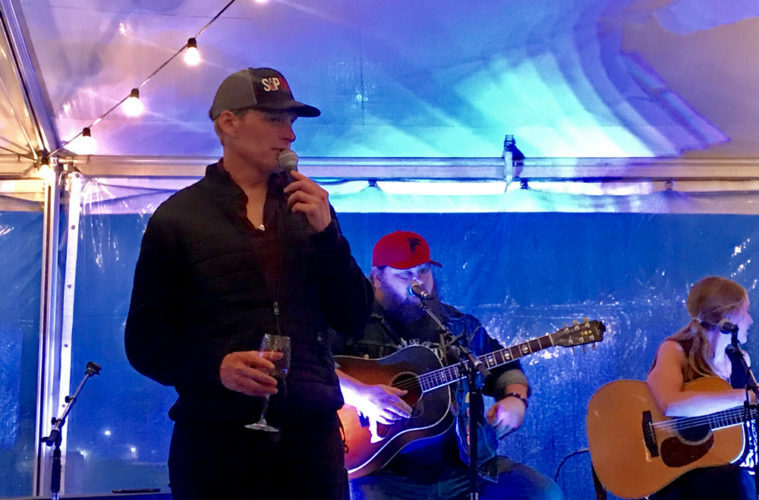 Friday night’s performance with Robin and Michelle Baggett of Alpha Omega Wines prepared for the pounding rain with a tented pavilion that added to the ambiance. Saturday’s impromptu lunch at the Harvest Inn had musicians performing to a back drop of White Hall Vineyards. 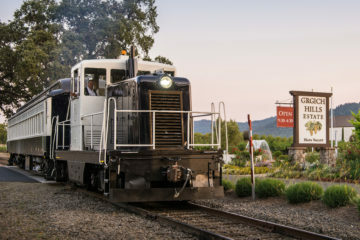 That evening Silver Oak Winery hosted the crew and offered their limited-edition SIP NAPA Cabernet. The Farewell Musical Jam ended on Sunday at the Brasswood Villages. Davis said he purposely kept the venues intimate, warm and interactive with the audience. Each winery saw 75 – 130 people in attendance. Guests loved the intimacy and the lyrics were soul moving as each songwriter told a story of how their song came to be. Some stories were out right funny while other touched a personal chord with the musician. Songwriters in attendance have written hits for Zac Brown Band, Sugarland, Hootie & the Blowfish, Tim McGraw, Lady Antebellum, Jimmy Buffett, Rascal Flatts, Darius Rucker, Luke Combs, Chris Young, Jewel and many more; and include names such as Patrick Davis, SIP Founder; Kristian Bush of Sugarland; Mark Bryan, Hootie & the Blowfish guitarist; Chris Barron, lead singer of the Spin Doctors; and James Otto, who found radio success with his hits “Just Started Lovin’ You” and “Groovy Little Summer.” The late Glen Campbell’s daughter Ashley Campbell dazzled the crowd and pulled out a banjo when Napa’s own Silverado Pickups performed the final call on Saturday night. 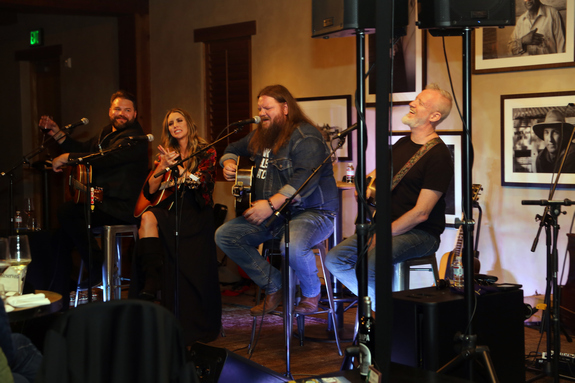 Other notable singer songwriters in the mix included Johnny Bulford, Kristian Bush, Wyatt Durrette, Chris Gelbuda, Kylie Rae Harris, Lauren Jenkins, Levi Lowrey, Edwin McCain, Heidi Raye, Tyler Reeve, Django Walker, Channing Wilsom and Kay Gianna. Songwriters In Paradise offers one young songwriter per year the opportunity to join the SIP NAPA line-up as both an honored attendee and special guest performer. The SIP Student Songwriting Winner, not only got to shadow SIP Songwriters during the festival, but also was invited to write a song with some of the SIP songwriters and perform. The 2019 winner was Kay Gianna of Jacksonville, Florida. At only 16 years old, Kay Gianna has already released a 4 song EP, opened shows for a number of popular artists & more than 50 of her own songs. Kay performed during the luncheon at the Harvest Inn. Since 2013, SIP has raised more than $100K for charitable causes including the Hope Town School, Friends of the Environment, Camp Cole, Hope Town Fire & Rescue and 50 – The Kevin Popke Foundation. 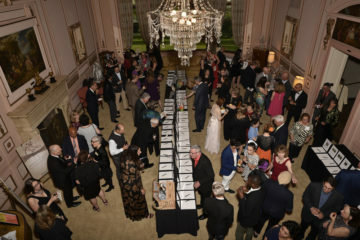 Over $25-thousand was raised for SIP NAPA this year with nightly live auction items and two official SIP NAPA autographed guitars raised $6-thousand Saturday night alone. 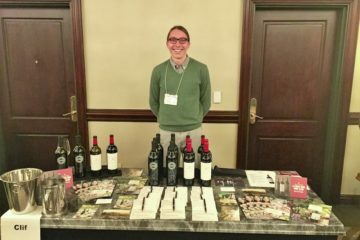 Proceeds from the SIP NAPA went to the Boys & Girls Club of St. Helena and Calistoga and Notes for Education. The latter is a nonprofit organization founded by Duncan and Gargiulo to bring instruments into Napa Valley schools. 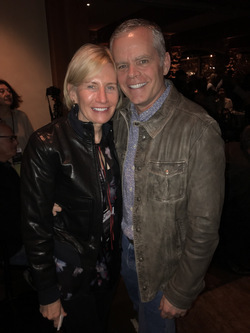 “I want to thank David Duncan for his friendship, belief in SIP and love for all things music is the main reason SIP and Napa have come together,” Davis told the audience each night. 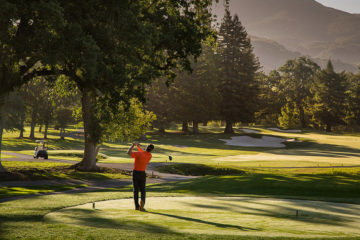 An official date has not been set yet for next SIP NAPA, but plans are in the works for this to be an annual event. SIP CABO will be held in Mexico October 2019 and SIP HOPE TOWN will be held in the Bahamas February 2020.